In 2013/14 Diane Howse, Countess of Harewood, invited artist and illustrator Kate McGuire to take up a short residency in Harewood’s Walled Garden. 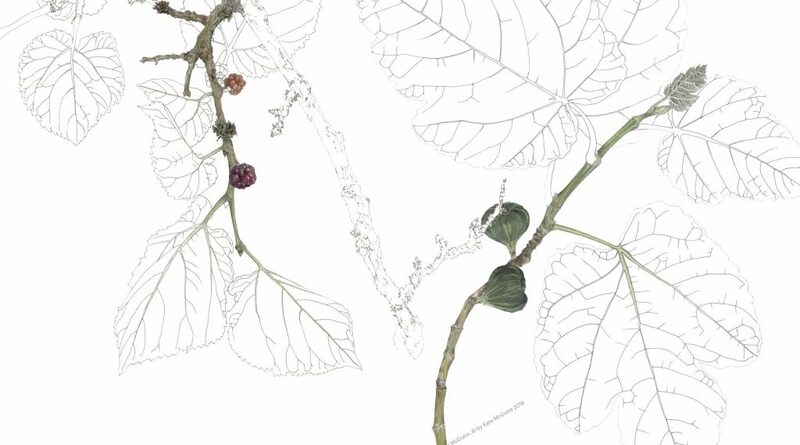 McGuire produced a series of delicate and meticulously observed images of edible plants, fruit and vegetables in pencil, ink and watercolour, capturing their organic forms while avoiding the cliché of prettiness for its own sake. This exhibition also includes a series of observations from another residency at the Prinzessiningarten (Urban Community Garden) in Berlin and forms part of Harewood’s Autumn Glory Festival celebrating the harvest foods and food production of Autumn. Harewood House Trust is launching a line of prints and gifts, including a notebook, notecards, tea towel and tote bag designed by Kate McGuire available for sale in the Courtyard Information Centre and the House desk.